It’s a feeling like no other in genealogy. It’s a combination of joy… and amazement… and awe. There’s a sense of tangibility to your family history, of connection to your past, that nothing else can bring. It’s that moment when you hold history in your hand. For some, it will be a family Bible. There are none of those in my family, on either side, that have been owned and written in by my direct forebears. For others, it may be a letter, or a diary. Again, for my family’s distant past, there are none of those for me. Most of my ancestors were poor, most uneducated, many unable to read or write, some unable even to sign their names. So for my family it’s records, held in public archives, carefully preserved as part not just of my family history, but of the history of this nation. It’s one of many reasons why I am so personally committed to the fight to protect access to records in our public archives. For I have been graced by so many of those moments, when I have held history in my hand. 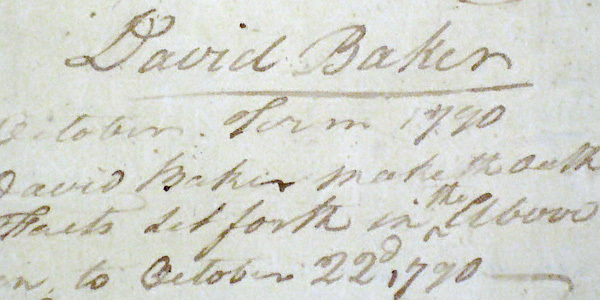 You can’t help but sit there with that document in your hand and carefully, delicately, trace David’s signature with your fingertip… and mourn the family’s losses in that Christmas Day fire of 1787. 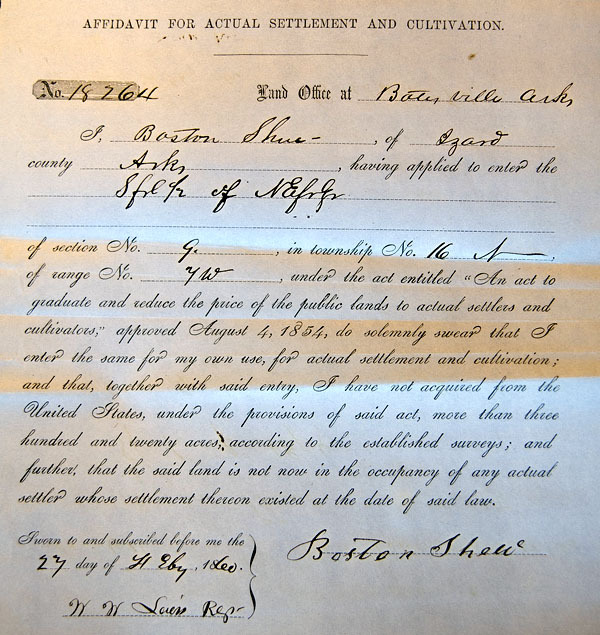 Seventy years after David’s petition, another fourth great grandfather, Boston Shew, was struggling to try to establish and support a very young second family in Arkansas.3 To do that he bought land from the federal government. You can’t help put sit there and carefully, gently, run your fingers over the raised seal at the bottom of the page. And rejoice at holding history in your hand. My third great grandfather – “You (meaning the said Harmon Waldrop) swore a lie.” Laurens Court of Common Pleas, 1825, Seth P. Poole, #2157. My second great granduncle- He lost a slander case for calling Polly Gentry “a whorish b***h” and ” a mulatto strumpet”. Peter Pool vs. Allen Gentry & Wife, 1831, Court of Common Pleas, Judgment 2962. Okay, despite the somewhat Shakespearean ring of Peter’s insults, I admit they are not the most wholesome of quotations to ring down through the years, but there they are- two Pettypool’s of Laurens County, SC speaking their minds. You just have to love that, Jim! Great stuff! There is NOTHING like holding history in your hand! When I saw the original marriage certificate for my 2nd great grandparents from 1864, I had to force myself not to grab it and run from the building! I’ve recently discovered family treasures from 150 years ago and every time I touch something, I have to stop to think about who else touched it and where it has been. There is a certain calmness that comes over me when I think about the fact that my ancestors touched the same paper or object that I am touching. That sense of connectedness, Debi… it’s just so amazing. I had such a moment when I held the will of my husband’s fourth great-grandfather written in 1855. He had a modest estate but he provided for his wife and left money to his adult children who except for one were married with families. What really got me was when he made specific provision for the care of his “insane son”. He appointed his wife as this young man’s guardian and also made provision for him financially. This really touched us because our youngest son is disabled. It’s comforting to know that he was the kind of man who wanted to make sure his son would be taken care of. That’s really wonderful, Pat. And what a joy to be able to hold that document! A question about patent and the petition. Would every patent have an accompanying petition? 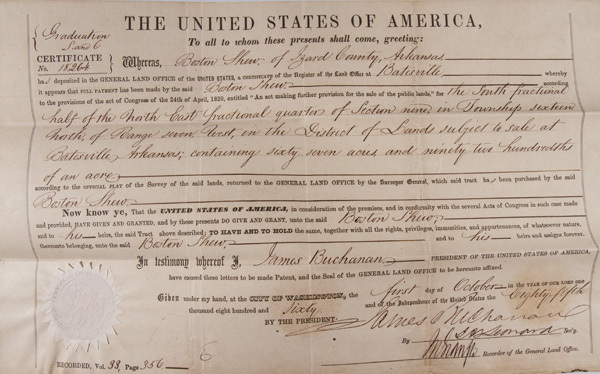 I ask because my second great grandfather also received a land patent very similar to yours. It is worded very much like yours is although mine was written up during the administration of Chester Arthur. I got a copy of the patent from the BLM website. So, I just wonder if there is a petition “floating” around somewhere with his signature on it. It’s essentially guaranteed that some additional documents will exist, all held by the National Archives in Washington DC. You can order a copy of the file, which can be expensive if it’s just a few sheets of paper. You might want to check the APG and BCG directories to see if there’s a professional genealogist who works in the area and can retrieve the file for you for less than NARA will charge to copy it and send it. >a professional genealogist who works in the area and can retrieve the file for you for less than NARA will charge to copy it and send it. Any idea on what that might be? I don’t need an exact figure, ballpark would be ok. Btw, what did it cost you if I might ask? The current fee is $50 for each file, even if it’s two pieces of paper. Ok. In your example, it would cost me $100? If I were to get a genealogist in the area to do for me, how much do you think it might cost? A (very) wild guess would do. Btw, I went to the website and you’re right. It would cost $50 per. I also saved an order just in case. Yes, in my example, there were two land files, and each one would have cost me $50. Both were cash sales and so there were only a few papers in each file (homestead files are usually much more rewarding). Hiring a researcher might well be worth it for you, but I can’t speak to the possible range of costs: it would depend greatly on just what you wanted done and who you chose to work with. However, check your email for a specific thought on this. I never really thought about the “romance” and shivery realization that we’re holding the actual historical document–history itself–in our hands. But you are right! Two days ago my 3 x g grandfather’s Revolutionary War Voucher came in the mail — I had ordered it from the NC Archives, for my DAR application. There was his signature. I matched it to the one on his will. It was as if he was still living, around the corner somewhere. Although I’ve read about his tribulations in the Black Creek Church minutes, and I’ve catalogued his 13 children on FTM, there is nothing like another concrete, physical trace of him. Thanks for your post! It’s a wonderful feeling, isn’t it, Mariann? You won’t ever think of that document the same way again. From the land patent that you have, can you determine if that person get it via the Homestead Act or cash? I used to think so, but the answer is no. 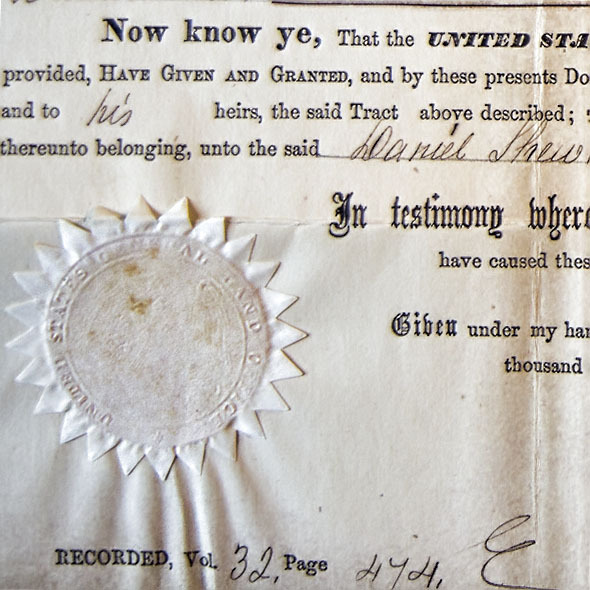 I discovered that with another patent that says it was a cash sale under the act of 1820 — but the statute setting up that particular sale made it subject to the Homestead Act. See Homesteading a cash sale, posted 29 May. priceless and a genealogy “happy dance” with their arrival is very special. 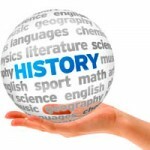 eg immigrations records/ bmd/ obits/military/land and property deeds. That “happy dance” feeling is something we’ve all felt — and all want to feel more! !